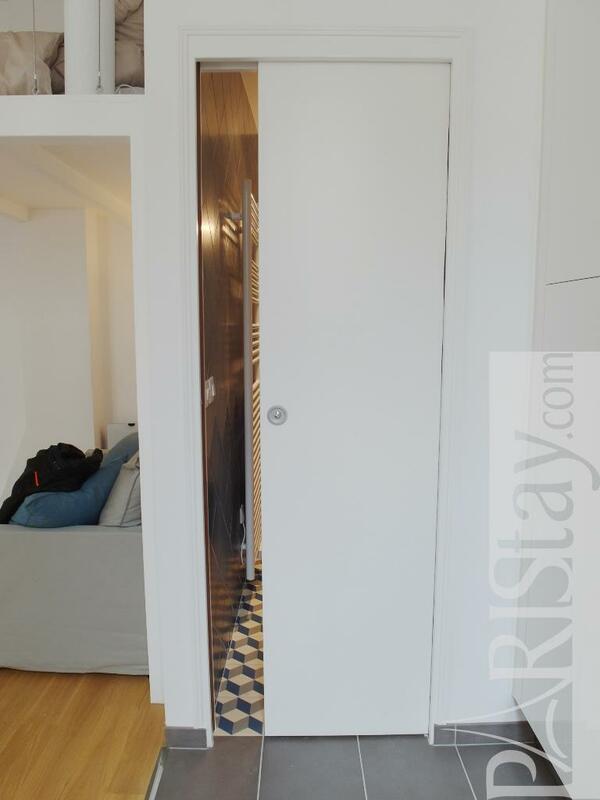 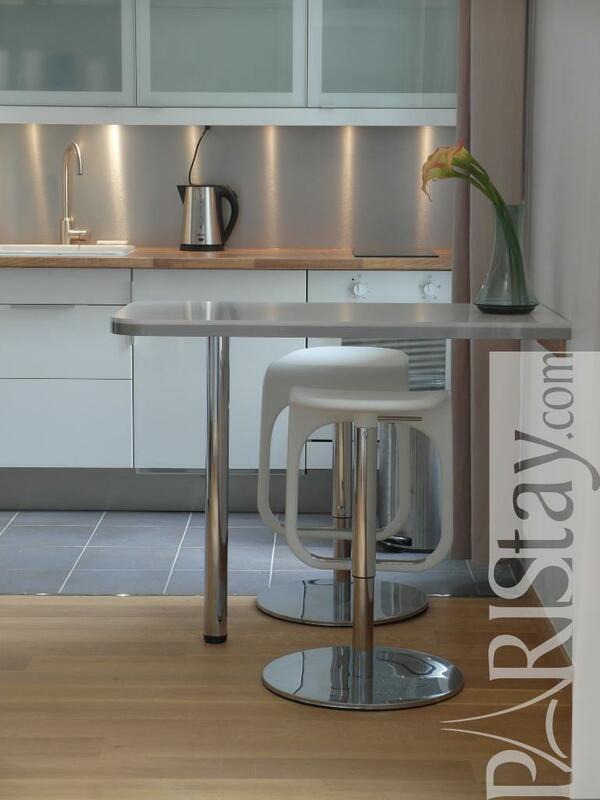 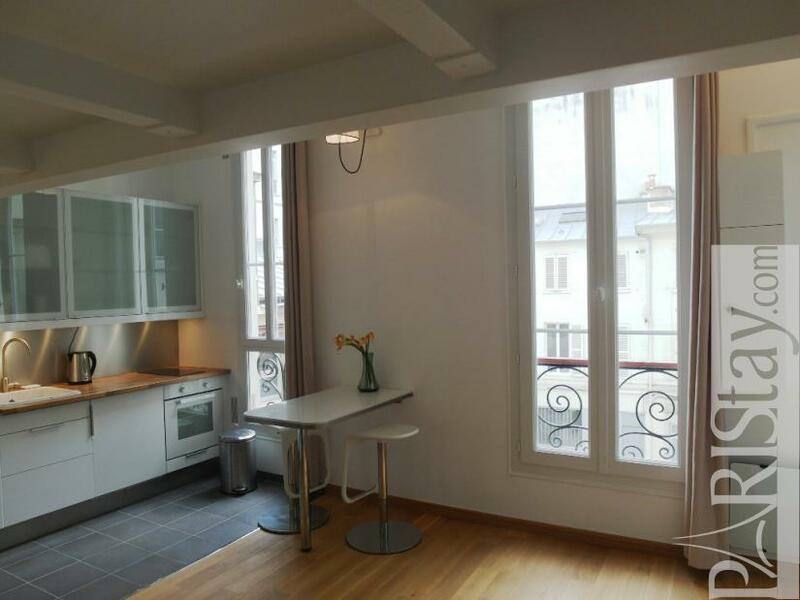 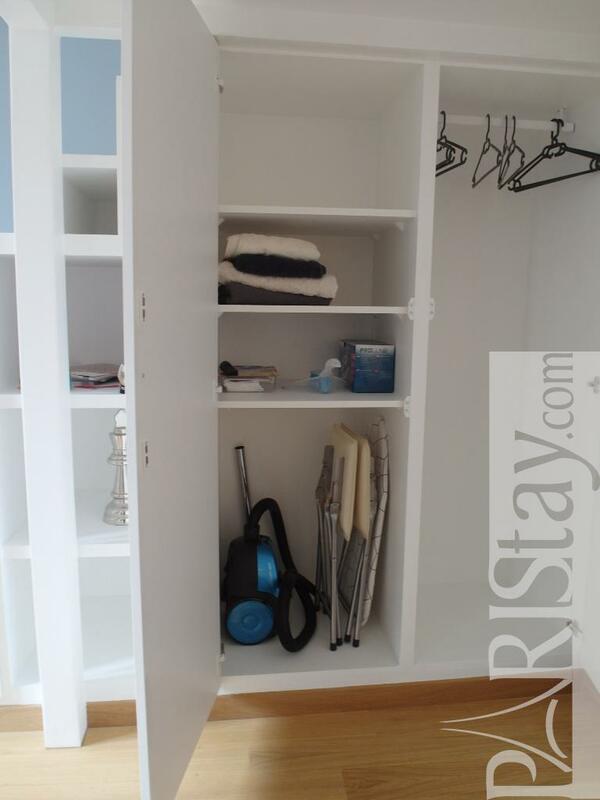 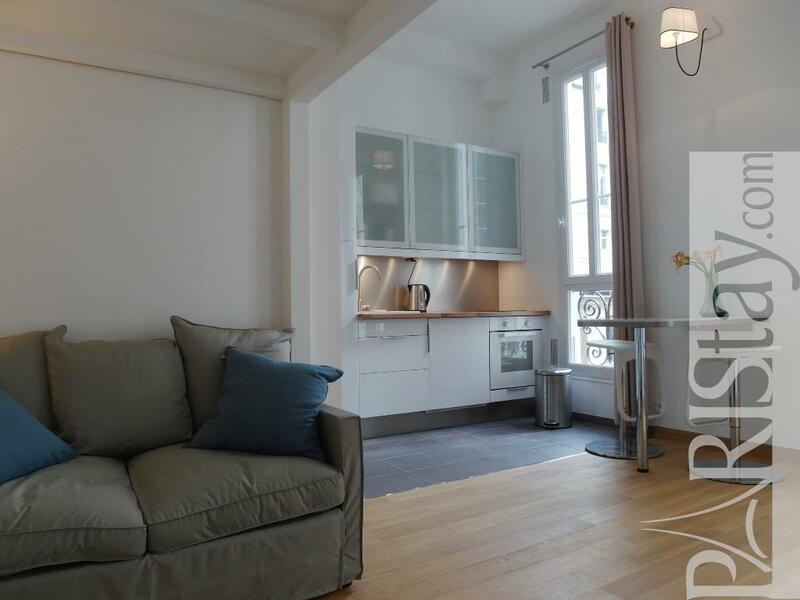 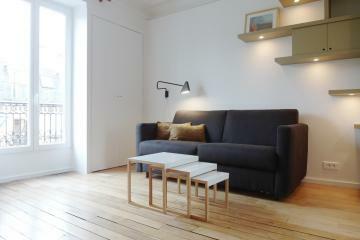 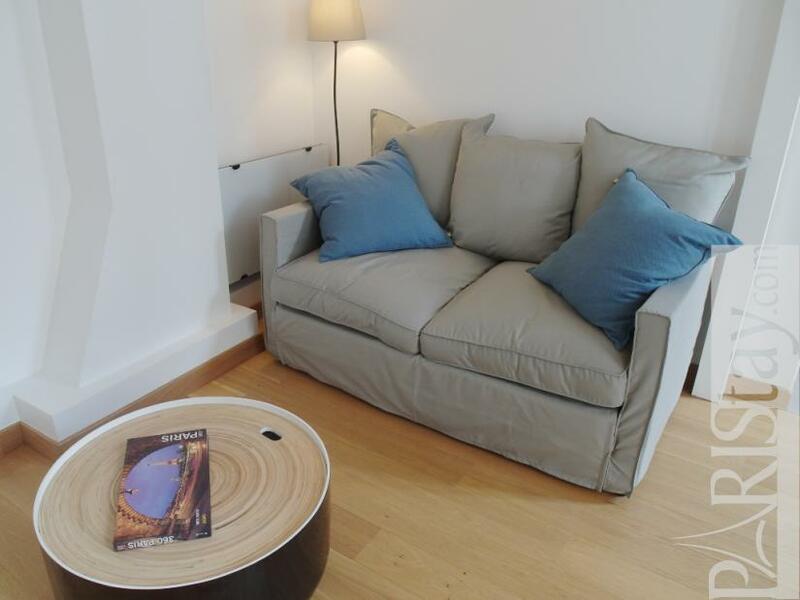 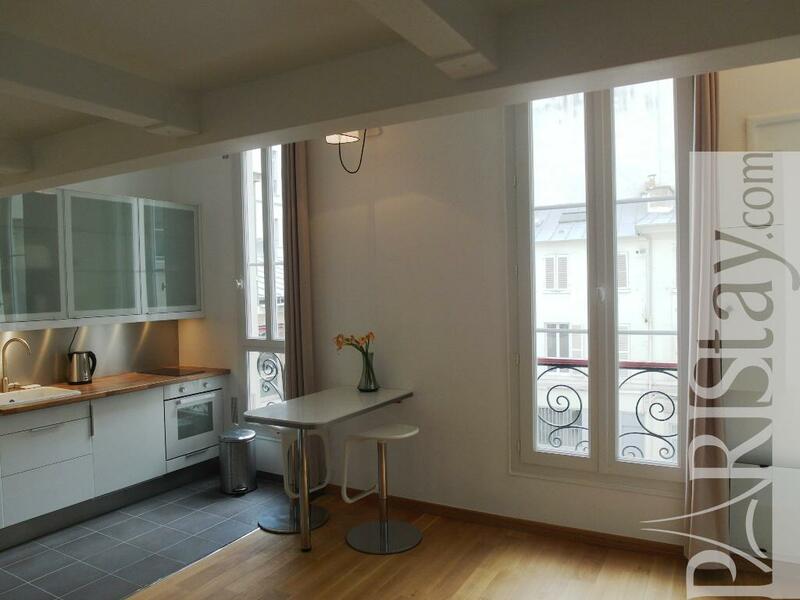 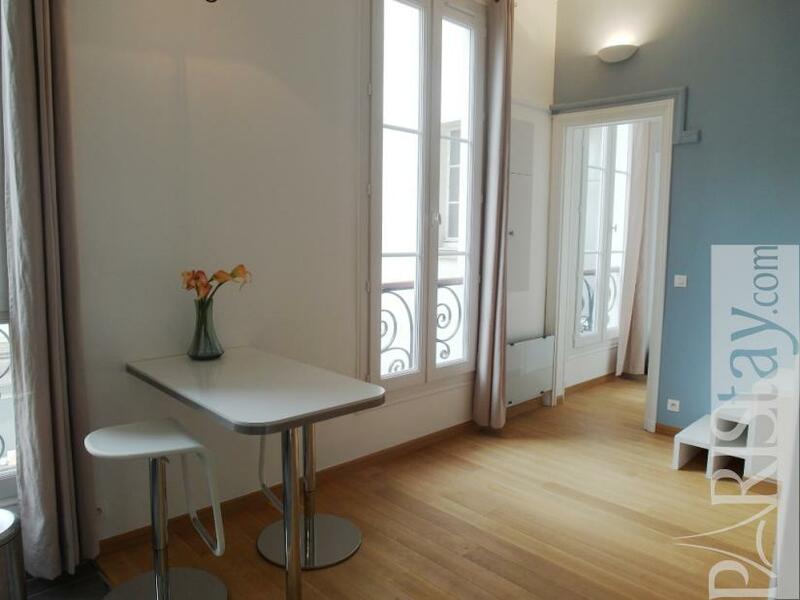 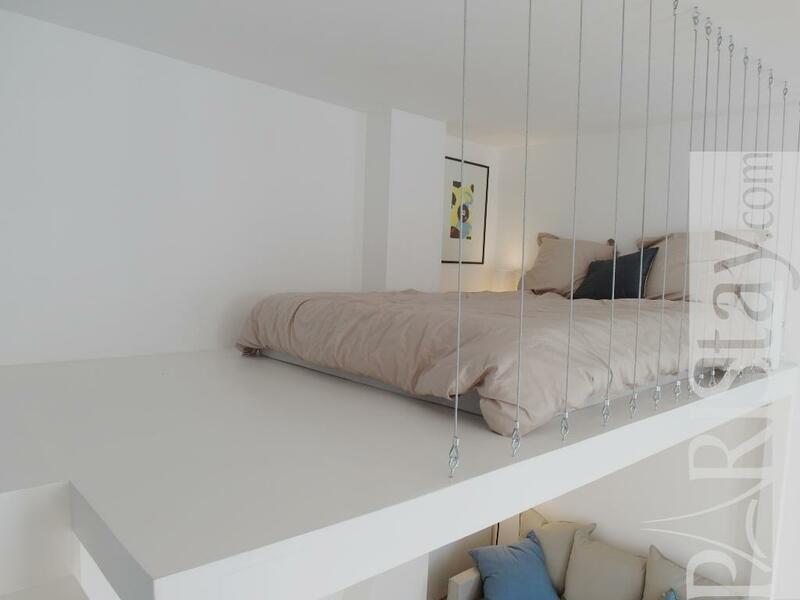 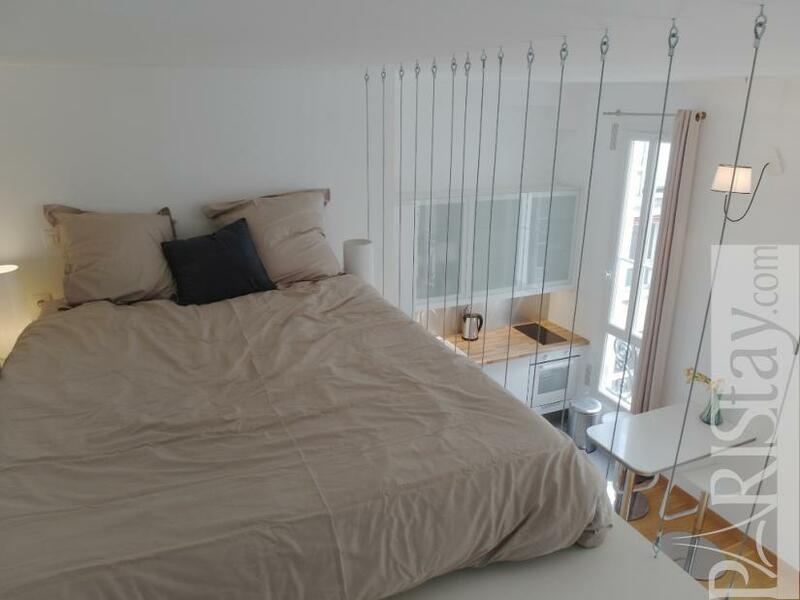 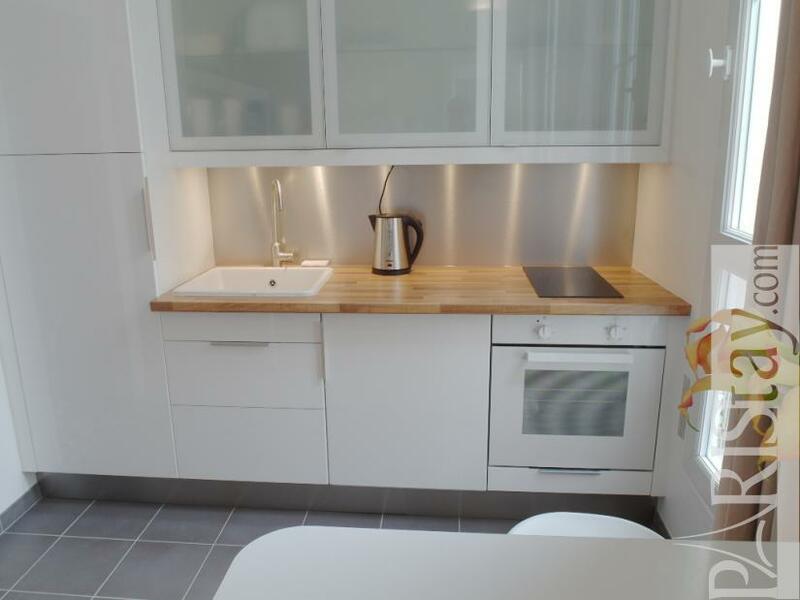 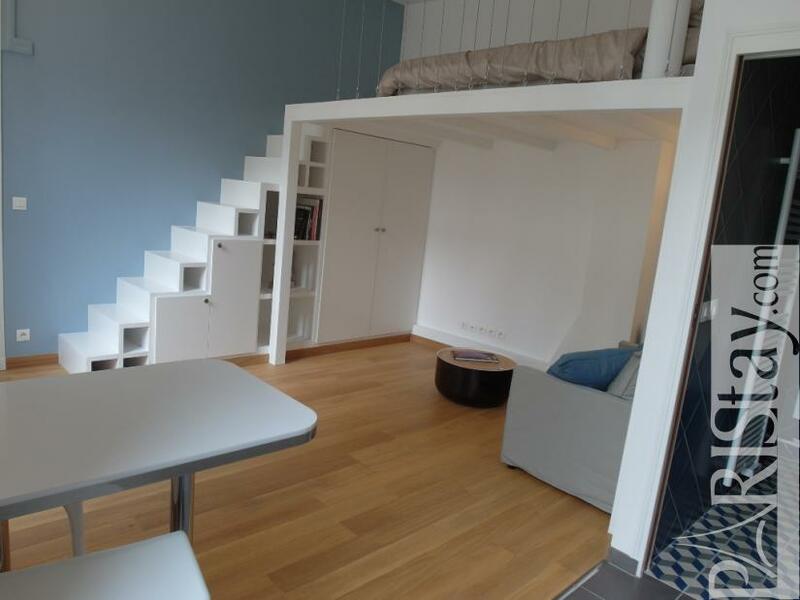 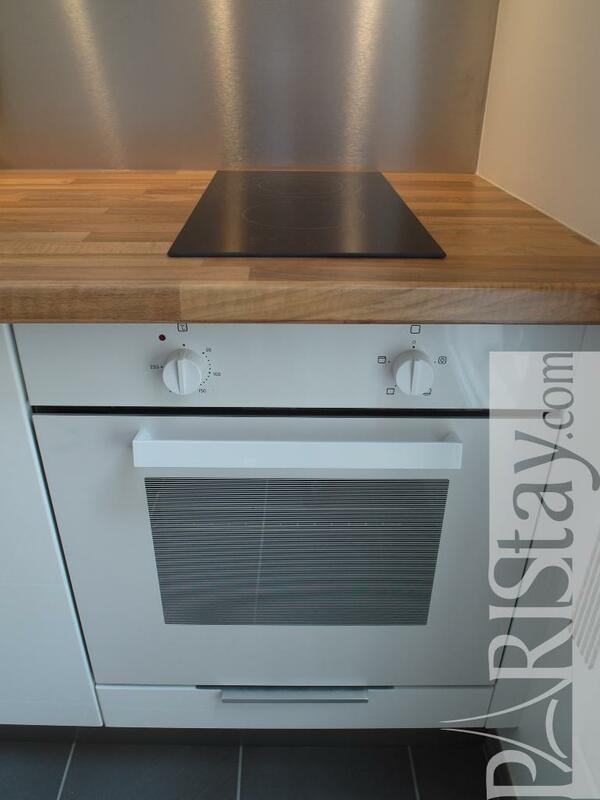 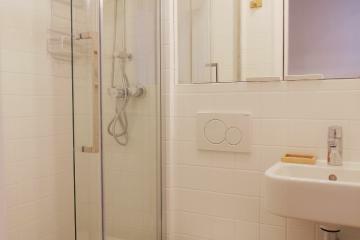 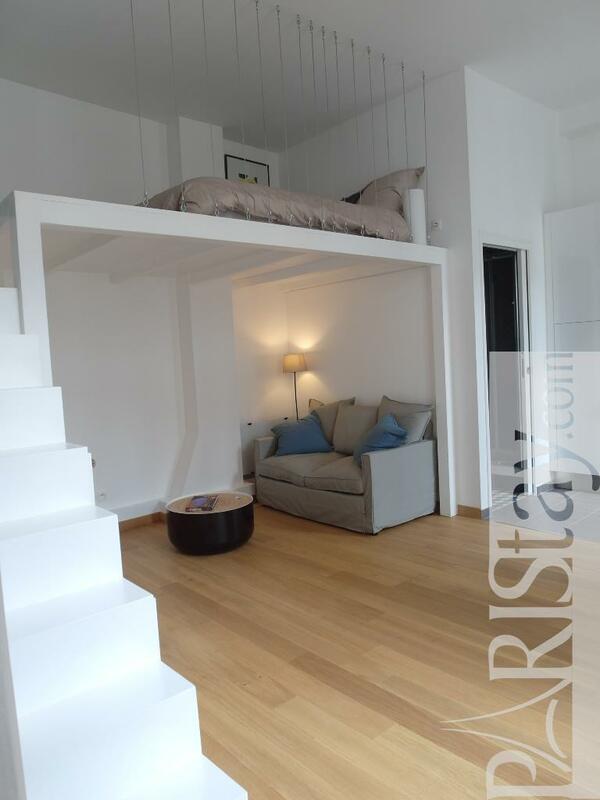 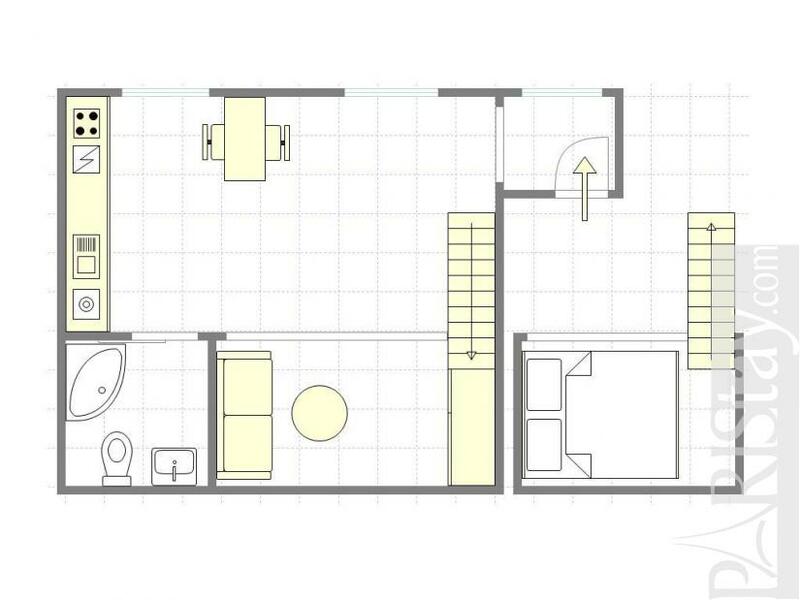 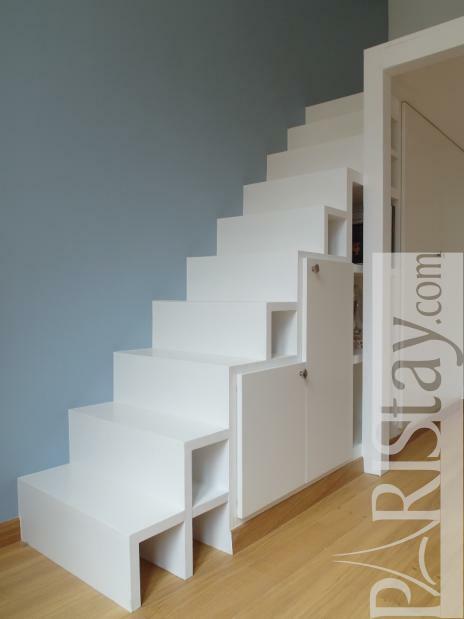 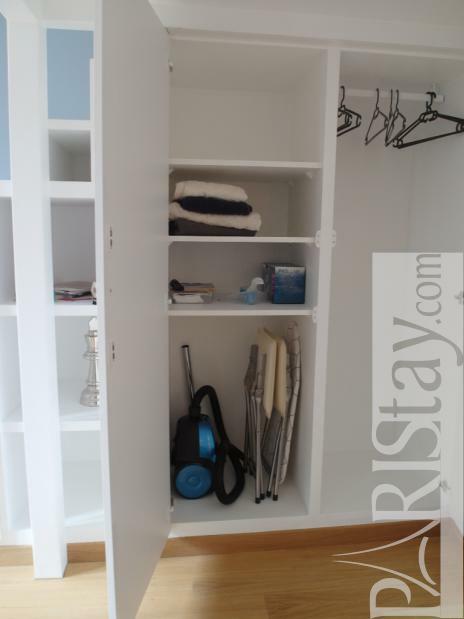 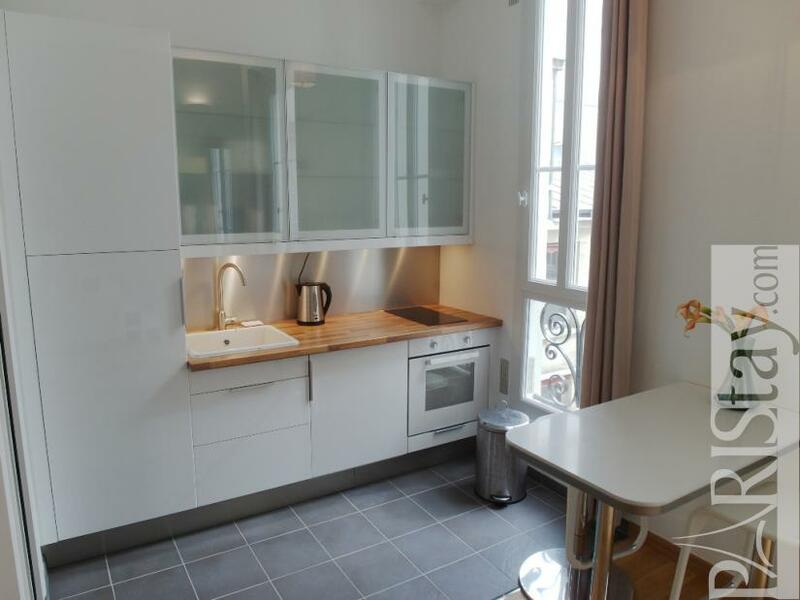 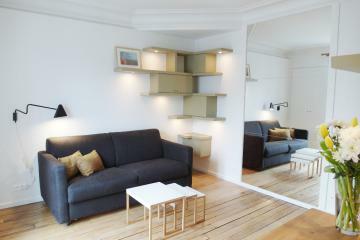 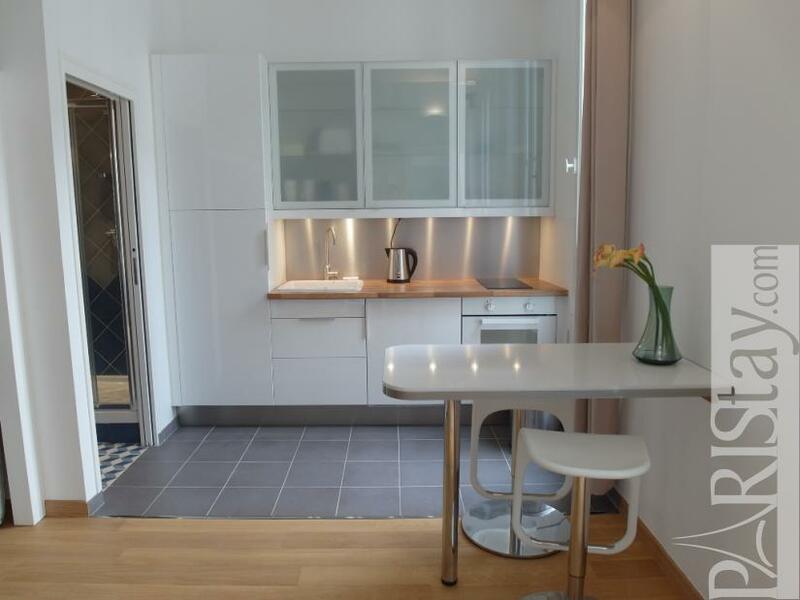 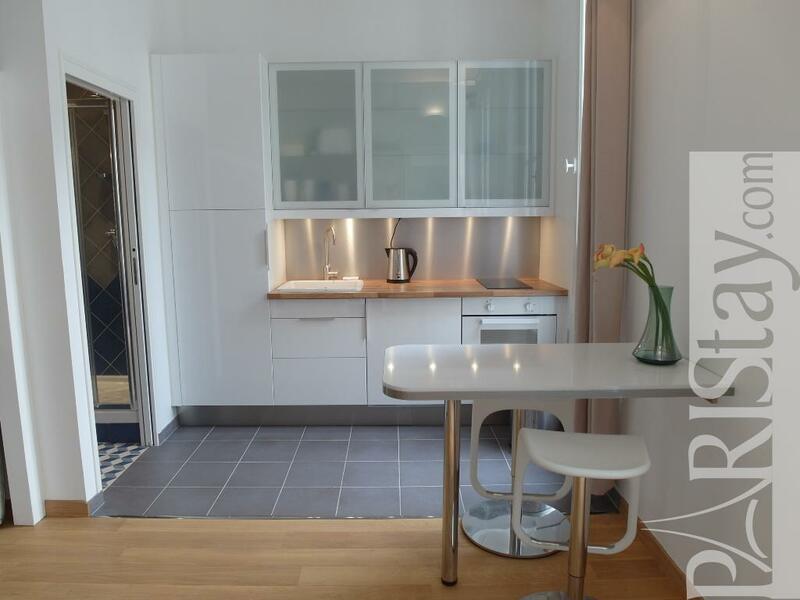 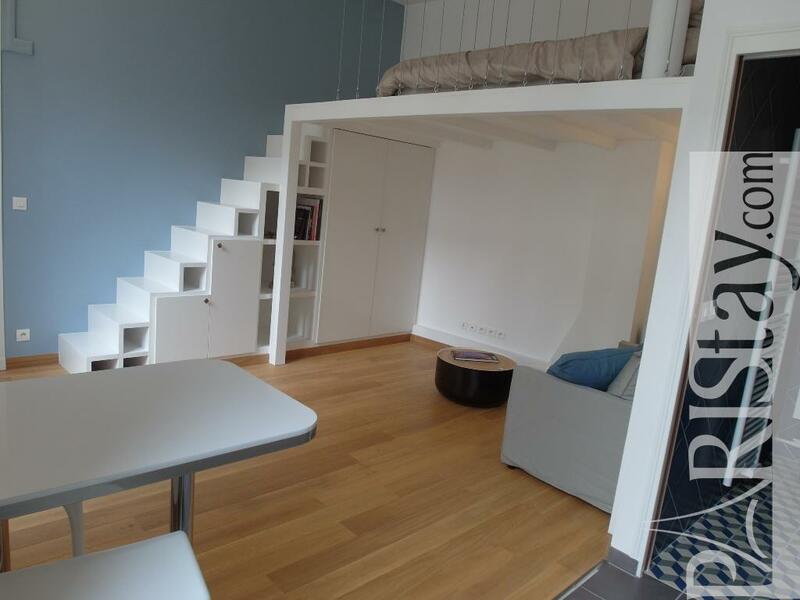 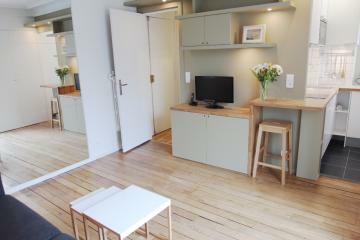 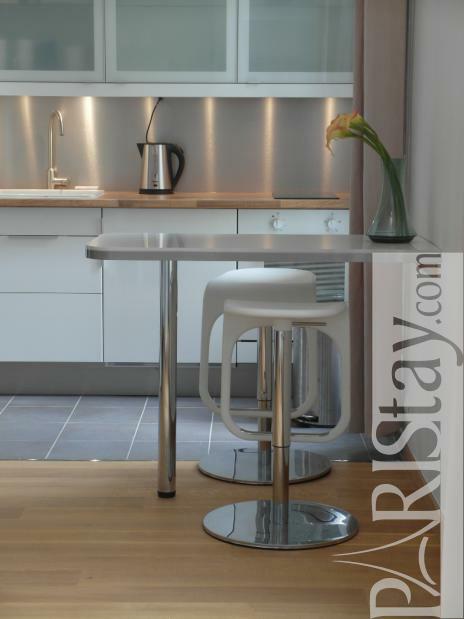 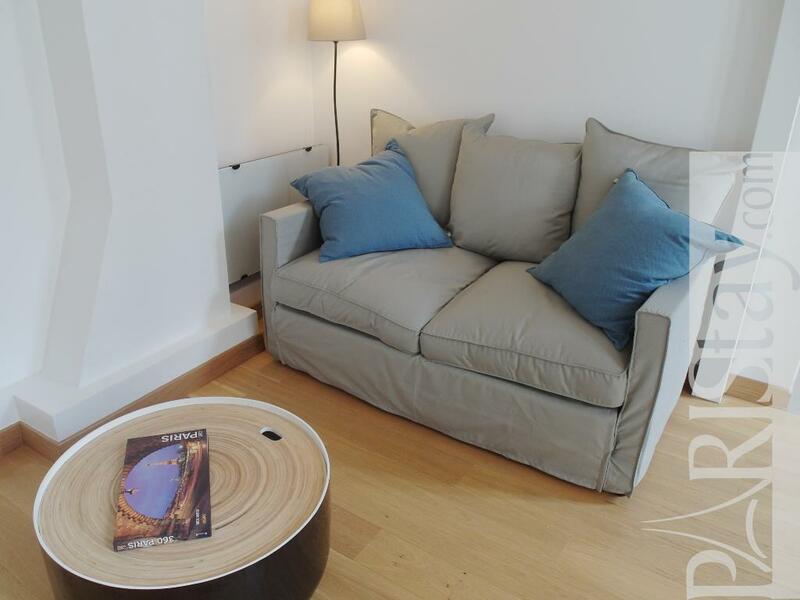 Spacious Studio+Mezzanine, perfectly organized for apartment rental in Paris. 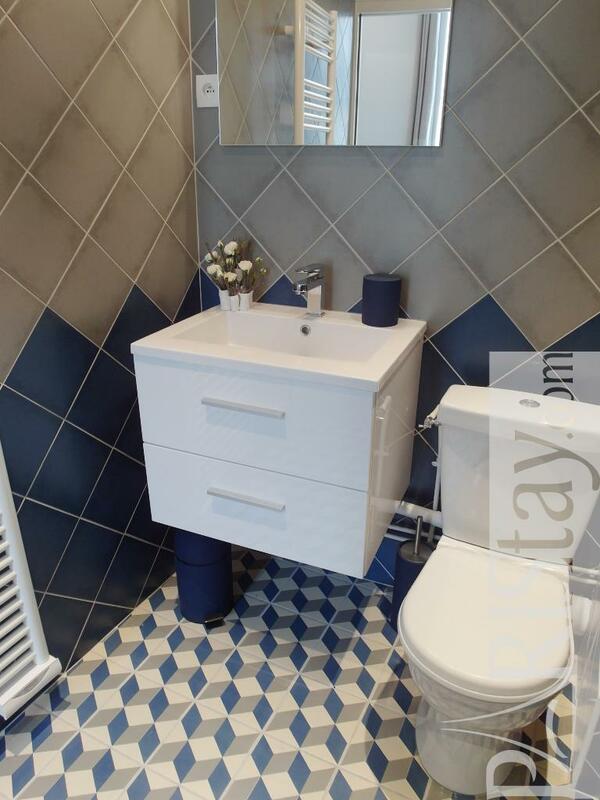 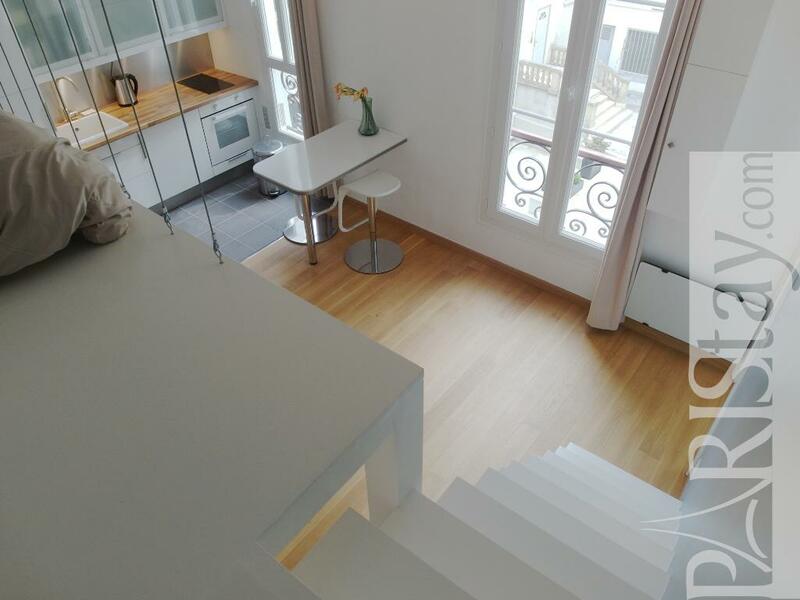 Situated in the central and lively 9th district, 10 mn walking from Opera, Grands Magasins and Montmartre area, the apartment offers a spacious main room open to a fully equipped us kitchen and a large mezzanine based on real stair. It has been decorated in a loft spirit with fresh colors. 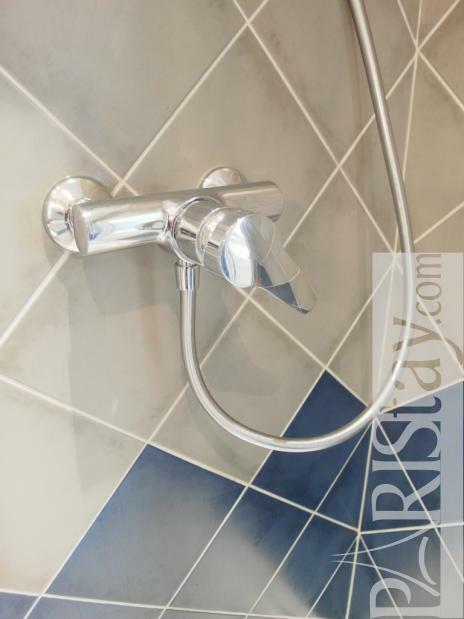 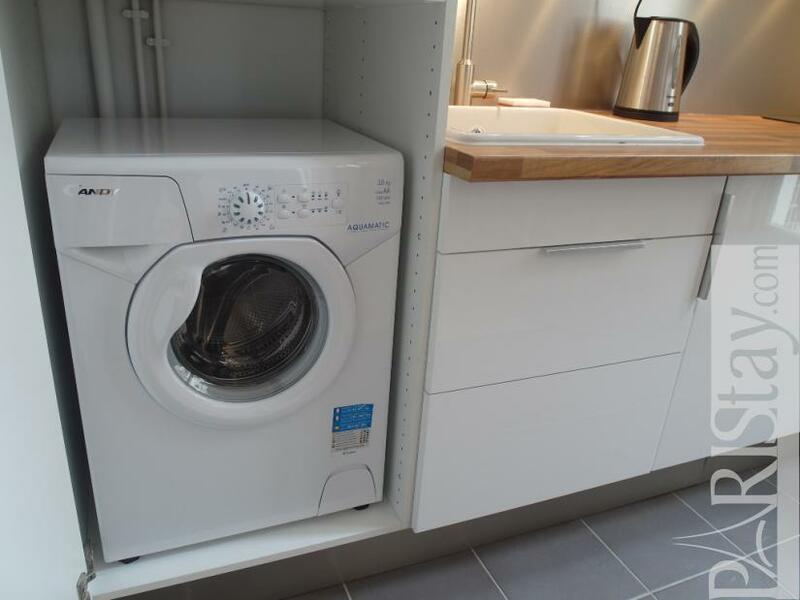 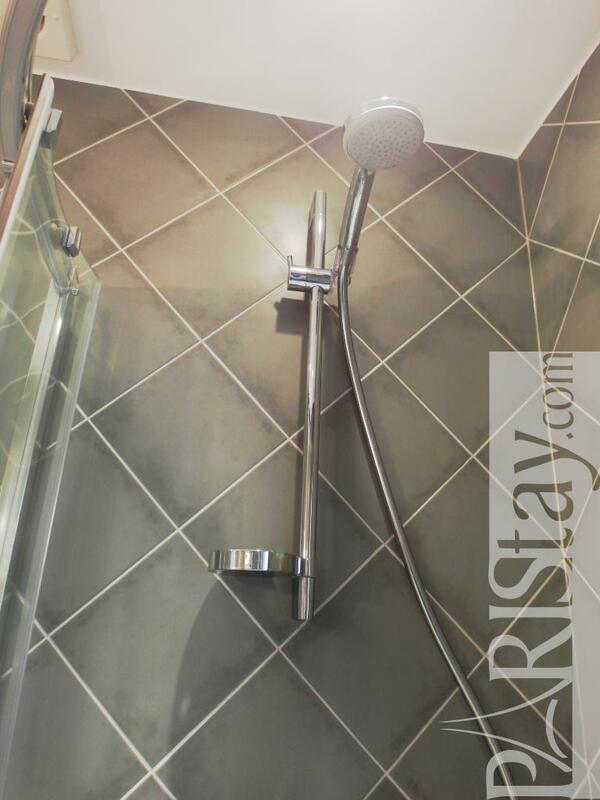 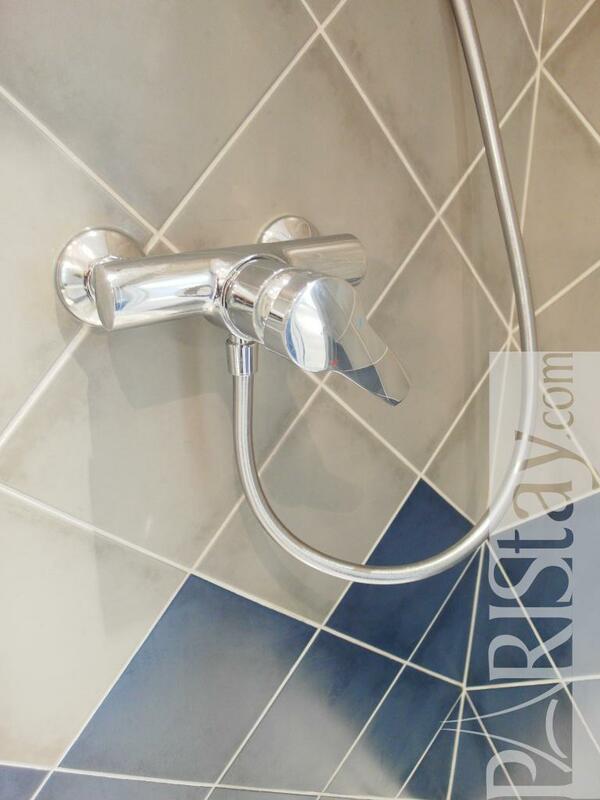 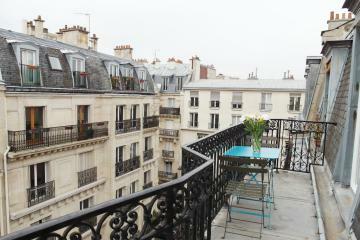 Sure, a perfect way to relax during your next long term rental in Paris. 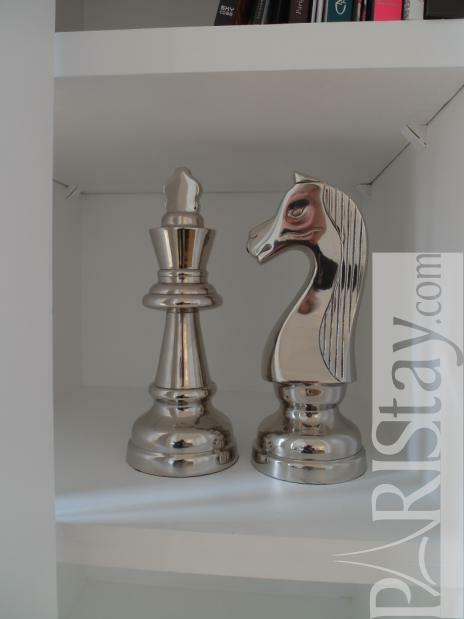 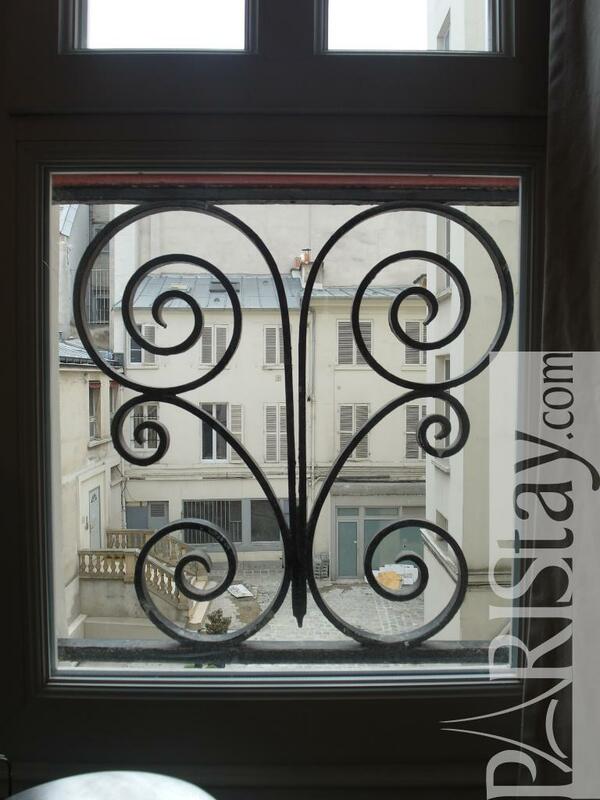 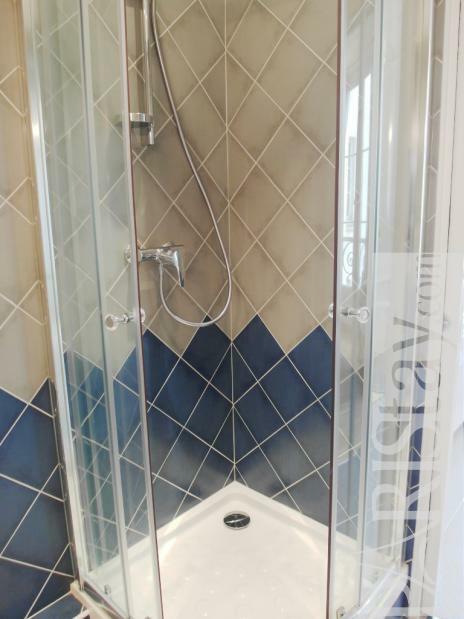 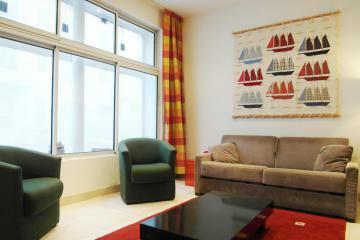 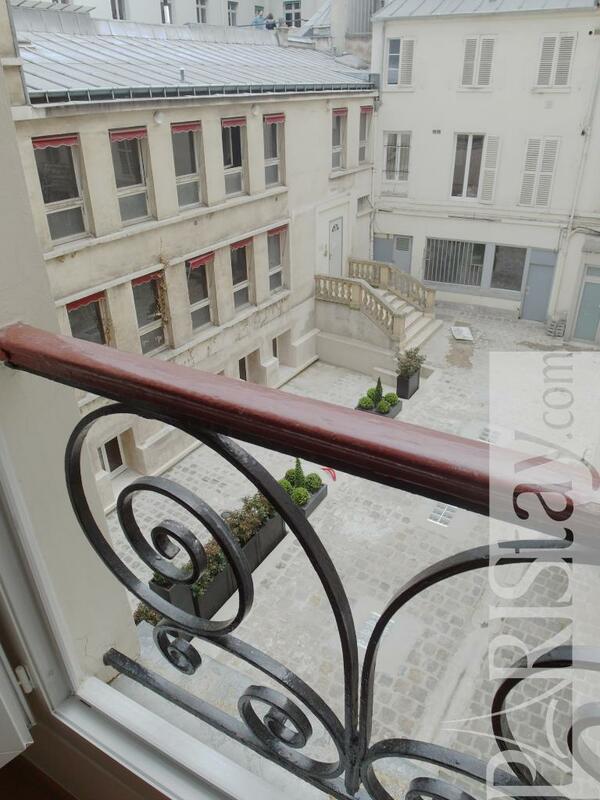 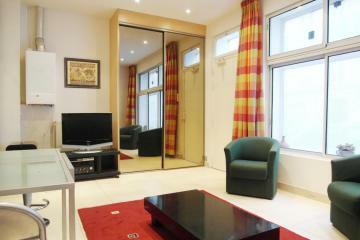 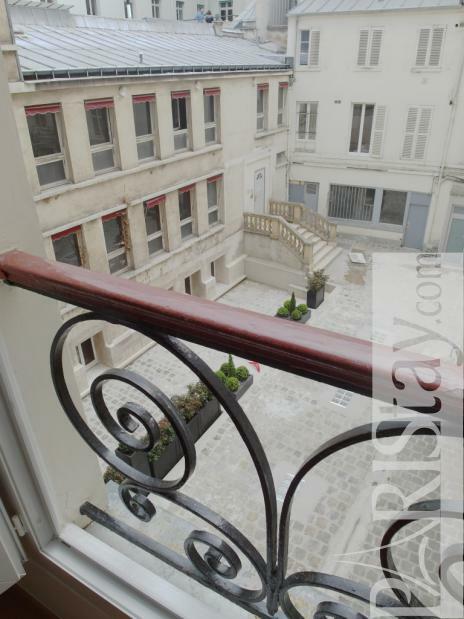 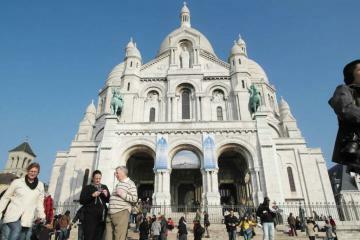 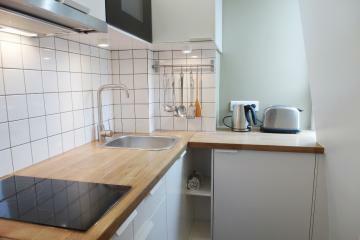 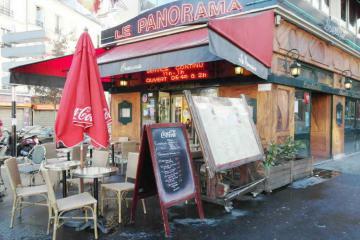 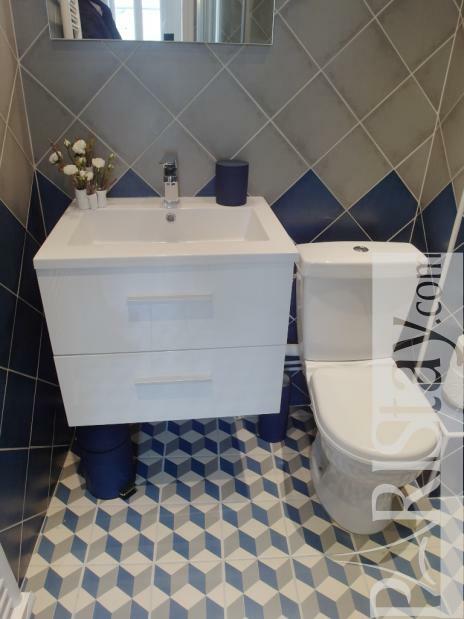 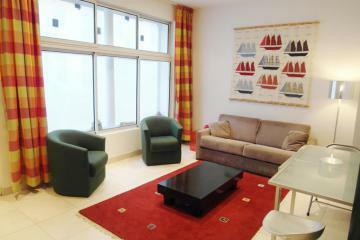 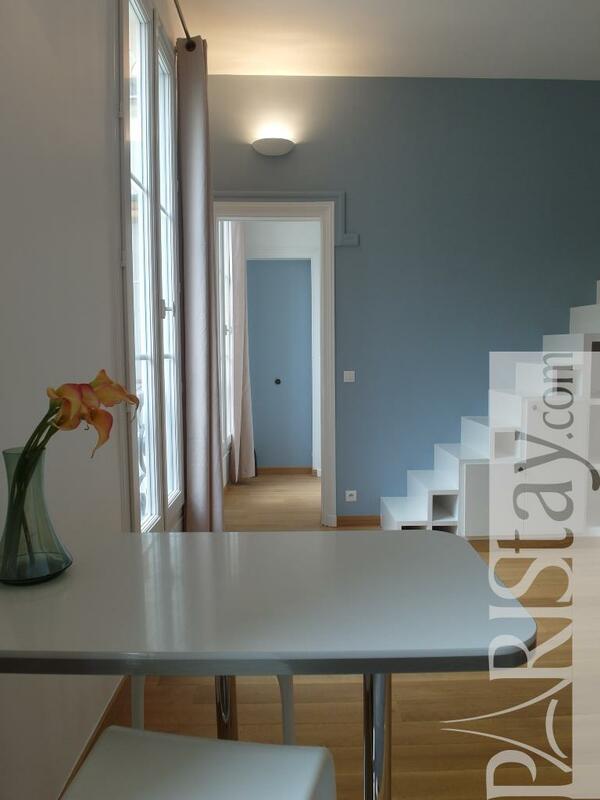 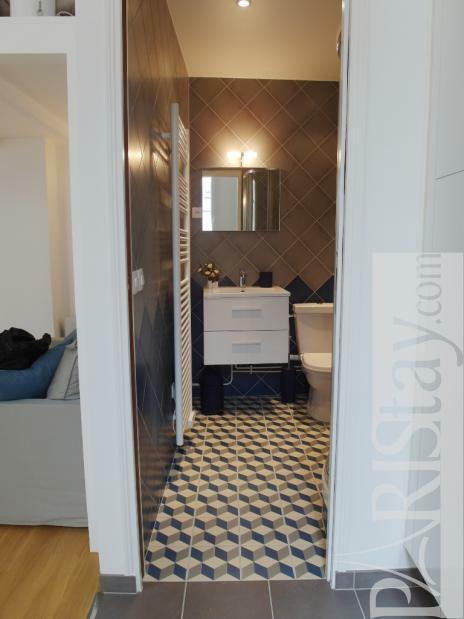 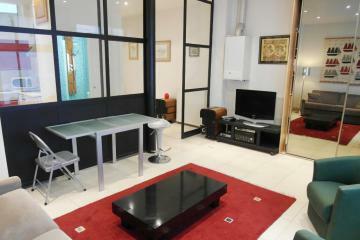 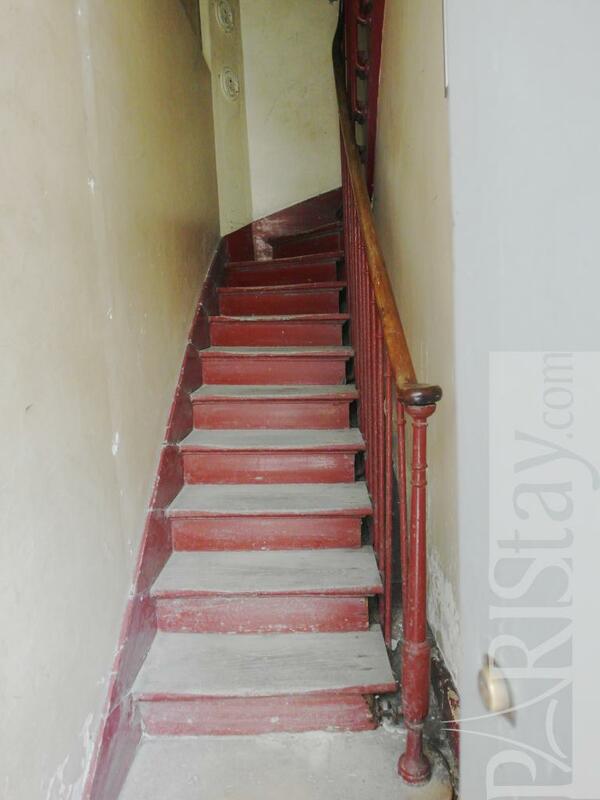 1870's Building, 2 nd floor, without Lift, entry code security system, Studio Appartement, furnished, Approx: 30m² / 323 Sq.Ft.